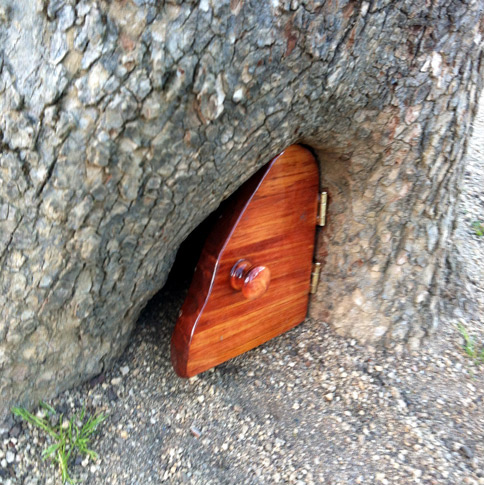 Back in March a tiny wooden door was discovered at the base of an elm tree in San Francisco’s Golden Gate Park. 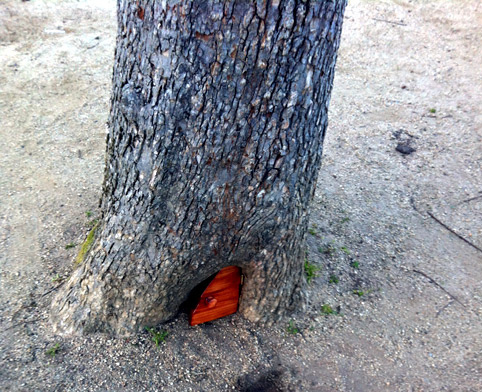 The door has become a bit of a destination for park visitors, who have been leaving behind notes, coins, acorns, and other trinkets inside the tree. The mystery door is located in the park Concourse near the De Young Museum and the California Academy of Sciences.